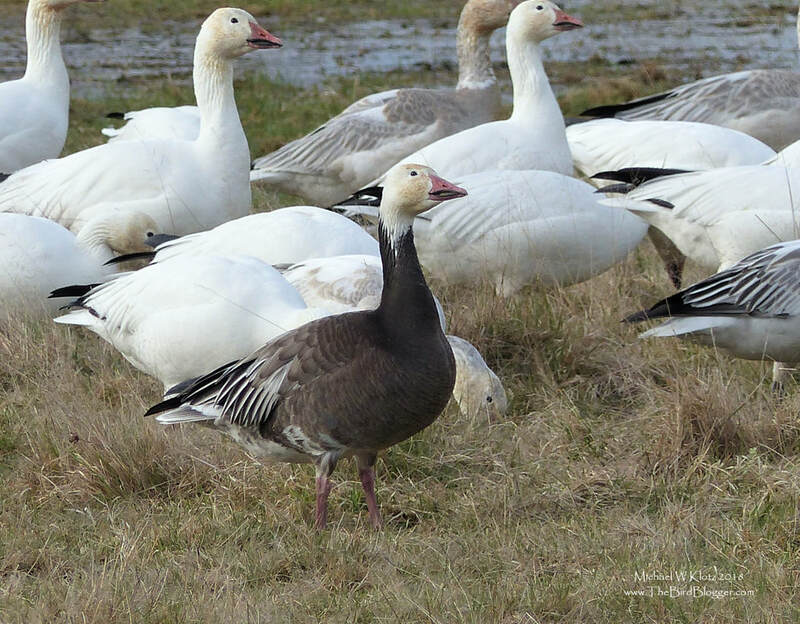 One of my birding friends mentioned to me that there was a Blue phase Snow Goose feeding in the fields next to the Vancouver Airport. It just so happened that as I was driving out, the flock rose from a hidden field to land right close to the road. And better still the bird that Raymond had mentioned was in the forefront of the flock. You can see that several of the birds were eyeballing the sky as a Bald Eagle flew over. This is my first photograph of the rare color phase, at least here on the west coast.